Courtesy of HELP-U-SELL RIVERSIDE REALTY, TAMMY WHITEHEAD. A Beautiful home in the Upscale Bayside Village Community in Newport Beach. The home features appx. 1200 sq. ft. of living space, three bedrooms, two full baths, a spacious living room for entertaining family and friends or enjoying a relaxing evening. Large kitchen with a breakfast bar and a adjoining dining area (includes new refrigerator), indoor laundry (includes washer/dryer) room off the kitchen. The master suite is roomy and adjoins the full master bath with a separate soaking tub and walk-in shower plus a walk-in closet. Bayside Village includes TWO Clubhouses, two pools and spas, exercise room, billards room, two parks, private beach and two natural gas fire pits and a fenced Dog Park. Enjoy nearby Starbucks, Kayaking, Boating, Paddle Boarding, Biking and long walks. Close to Fashion Island and Balboa Peninsula and world famous Beaches and Restaurants. Please, send me more information on this property: MLS# IV18173012 – $159,000 – 319 Concord Lane Unit 319, Newport Beach, CA 92660. 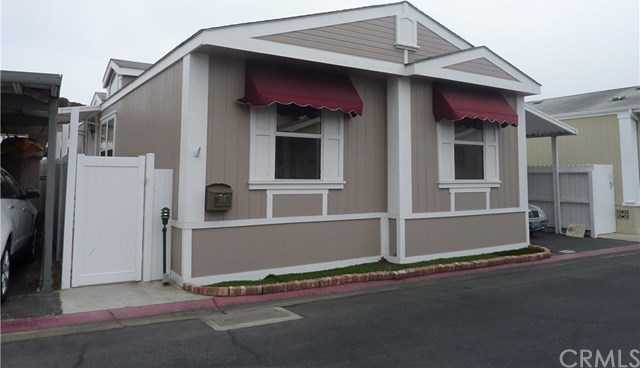 I would like to schedule a private showing for this property: MLS# IV18173012 – $159,000 – 319 Concord Lane Unit 319, Newport Beach, CA 92660. Based on information from California Regional Multiple Listing Service, Inc. as of April 21, 2019 22:04 and/or other sources. All data, including all measurements and calculations of area, is obtained from various sources and has not been, and will not be, verified by broker or MLS. All information should be independently reviewed and verified for accuracy. Properties may or may not be listed by the office/agent presenting the information.